DOWNLOAD THE PRINT-ABLE PDF VERSION HERE. Welcome to the DISORIENTATION GUIDE! The intention of this guide is to connect and build healthy and sustainable community. We have a vision for what that looks like and in many ways folks are doing it, have tried it, or are trying it. From the Flagstaff Activist Network, Food Not Bombs to Copwatch or critical masses to the radical feminist group Wemoon’s Army, Flagstaff has had it or is ready for it (again? )… you can still see the remnants of wheat pasted flyers from when Bush invaded Iraq. There are histories upon histories in this colonial settlement called “Flagstaff”. For the most part those stories have been carved in blood by missionaries, soldiers, and now business people. The free market/capitalism/neoliberalism/white supremacy/hetero-patriarchy has guided the narrative. Dine’, Hopi, Havasupai, Hualapai, Yavapai Apache, the Indigenous of this region, still resist against it. But of course, aren’t immune to it’s contradicting ways. Many who have lived here all of their lives don’t know that just 2.5 hours to here to the North more than 14,000 Dine’ have been forced by the government from their lands, today the resistance continues. Many don’t know that just north (40 min) communities can’t drink water from their wells because of uranium contamination. Or just North East of here around the Grand Canyon, nearly 8,000 new permits for uranium mines have been applied for. So here, where we stand, we believe we can determine our relationships to Mother Earth, our bodies and minds, and each other. We might have to work hard or fight for it… but look around, we’ve done it, we’re doing it, or… we’re ready to strike. p.s. Something not listed, correction or concern? Email: infofosho@gmail.com. Didn’t see something you wanted? Start it up. Some of the info included may not be updated – we tried to contact many of the groups for new info. We recommend contacting them directly especially about meeting location & times. Click here to view articles included in the guide. Flagstaff’s only action based community center! Radical Books, Local CDs, DVDs, ‘Zines & ‘Zine Archive, Patches, Lending Library, Performance Space, Silkscreening, Movie Nights, DIY Art Nights, Gardening, discussion groups and much more. Also home to Outta Your Backpack Media & Impact Center. The Free free market is a place where people can come bring things they no longer need or use and give them away. Everything is Free- no money is exchanged. Reuse and Recycle instead of buying! Better for us, our community, and the environment! Held at the Taala Hooghan Infoshop. Provides a center for community peace education; projects promoting peace and social justice; resources for community, students, veterans, and conscientious objectors. The FNDPC works toward nuclear disarmament and economic justice. Save the Peaks Coalition was formed to address environmental and human rights issues caused by proposed ski resort development on the San Francisco Peaks, a mountain in Northern Arizona held sacred by over 13 Native American Nations. A mountain with pristine drinking water that could become contaminated by Flagstaff toilet water. We intend to protect this wilderness area on US Forest land threatened by treated sewage effluent made into fake snow. Updates and organizing related to protecting the San Francisco Peaks from snowmaking at Arizona Snowbowl. Meetings: 6:30-7:30 every last Sunday of the month at NiMarcos Pizza on S. Beaver St. The Industrial Workers of the World (IWW or the Wobblies) is an international union. The IWW contends that all workers should be united within a single union as a class and the wage system abolished. The Arizona Repeal Coalition is an organization committed to repealing over 60 anti-immigrant laws and bills that have been passed or considered by Arizona politicians in the past few years. We demand the repeal of all laws—federal, state, and local—that degrade and discriminate against undocumented individuals and that deny U.S. citizens their lawful rights. Black Mesa Indigenous Support (BMIS) is a grassroots, all volunteer run collective dedicated to working with and supporting the indigenous peoples of Black Mesa in their Struggle for Life and Land who are targeted by & resisting unjust large-scale coal mining operations and forced relocation policies of the US government. PFLAG promotes the health and well-being of gay, lesbian, bisexual and transgendered persons, their families and friends through: support, to cope with an adverse society; education, to enlighten an ill-informed public; and advocacy, to end discrimination and to secure equal civil rights. PFLAG provides opportunity for dialogue about sexual orientation and gender identity, and acts to create a society that is healthy and respectful of human diversity. The MISSION of PEAKS Pride is to provide dedicated volunteers for service projects to the Flagstaff and Northern Arizona communities, and its residents, thus Promoting Equality through Acts of Kindness and Service. No More Deaths is an organization whose mission is to end death and suffering on the U.S./Mexico border through civil initiative: the conviction that people of conscience must work openly and in community to uphold fundamental human rights. The Associated Students for Women’s Issues is a student representative organization at Northern Arizona University. ASWI provides a forum to voice the concerns of women at NAU and creates opportunity for leadership within a student group. ASWI developed and opened a resource room which is open to the NAU community. It contains a wide variety of books, magazines, movies and CDs. Contact: naupeaceandjustice@gmail.com Meetings: Every Tuesday at 7pm in the NAU University Union (above the help desk). PRISM provides education, peer support, outreach, and advocacy. PRISM also puts on activities that focus on both social and advocacy aspects of GLBT awareness. PRISM staffs a Resource Center, which houses a wide array of books, magazines and multi media. The PRISM Office/Resource Center is located upstairs in the University Union. MEChA is an organization that brings awareness to Chicano issues at NAU, in Flagstaff, in Arizona, and in the nation. The organization is open to all students. Friends of Flagstaff’s Future (F³) was founded in 1995 by concerned citizens who wanted to ensure that the public had an active role in community decision-making. Black Mesa Water Coalition (BMWC) works to protect Black Mesa & all of Mother Earth through support and development of Green Jobs, Sustainable communities, Indigenous Peoples cultures, and Leadership Development. Native Movement Southwest is an organization of leaders, artists, and community organizers. Our mission is to encourage, inspire, and support individuals, families and communities in their pursuit of self-determination, sustainability and healthy environments. Distributes and cooks free food; operates on the principle that food is a right not a privilege. Volunteers needed! FREE hot meals served everyday from 4PM – 5:30PM. The mission of the Flagstaff Family Food Center is to provide wholesome meals in a safe and pleasant environment as well as help children with reading, homework, and social skills. A non-hierarchical, volunteer collective committed to the cultivation of a decentralized, urban-farm network. Community Supported Agriculture is a direct connection between a local farmer and the people who eat the food they produce. Pay a membership fee and get locally grown food. 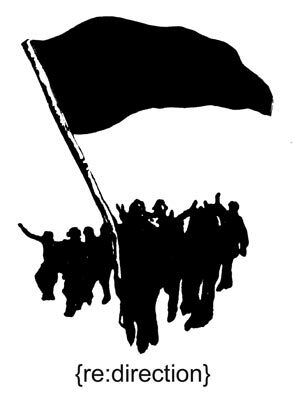 Arizona Indymedia is a non-commercial, democratic collective of arizona independent media makers and media outlets, and serves as the local organizing unit of the global Indymedia network. Publish your news & learn about other radical events/actions. Be the media! The Red Pill Movies Group seeks to educate the public on frequently shocking facts behind current events. Controversial and politically unpopular films expose subject matters currently suppressed or ignored by the mass media. Typically screening at Tacos Locos. Free movie making workshops for Indigenous youth. OYBMedia is an Indigenous youth response to the need for media justice in our communities. Strategic media support and action to directly address issues impacting Indigenous communities. Anartist Films is dedicated to radical, revolutionary filmmaking, demanding justice while embracing the beauty of the world and its people. NFHC provides advocacy, prevention education, and shelter for victims of violence and abuse through five free programs: Women’s Shelter, Children’s Shelter, Legal Advocacy, Counseling, and Community Education. Youth up to 25, resources, transitional living program, donation items, crisis intervention, youth support. North Country HealthCare provides extensive primary care services to low income, uninsured, or underinsured people in northern Arizona. DNA People’s Legal Services is a 501(c)(3) nonprofit legal aid organization working to protect civil rights, promote tribal sovereignty and alleviate civil legal problems for people who live in poverty in the Southwest. Free services to those who qualify! Know your rights info & poss. legal advice and representation. The Navajo Transit System’s services and priorities are providing safe and reliable charter and public transportation for the Navajo Nation. Underground (punk) music in Flag changes significantly every year. Bands break-up or move to “the city” to “make it”. A lot of online resources are left up inactive. Currently there are several newer places that hold shows. Look for flyers around town. all these venues are All-ages and ask for donations to help traveling bands. www.robothouse.org – Local music scene info. The Catalyst Infoshop is a volunteer-based, not-for-profit organization. Our mission is to provide access to nontraditional books and magazines, to support local nonprofit groups, and to help create community here in Prescott, Arizona. Web: www.dryriver.org/ The center hosts a Book & Zine Library, Computers, Movie Screenings, Live Music and DJs, FREE Store, Free Classes and Discussion Groups. www.arpaiofive.blogspot.com – Support the Arpaio 5! www.azradicalcoalition.net – Arizona Radical Coalition.